“Is our food sustainable?” This is a crucial question that has become common as people start examining their eating habits and the impacts of food processing on the environment. Today, food accounts for about 25% of the greenhouse emissions released into the atmosphere. The food you eat also has an impact on land and water systems. 70% of the water taken from freshwater lakes and rivers is used for agriculture. The agriculture industry causes 60% of deforestation, clearing land for farming. Therefore, the question is how is it possible to eat sustainably? What exactly is Sustainable Eating? Sustainable eating involves selecting foods that are healthy for our bodies and the environment. This means foods that provide a balanced diet for the body but also facilitate the conservation of the environment. These are foods grown and processed in a manner that does not harm the environment or compromise its ability to meet the needs of future generations. 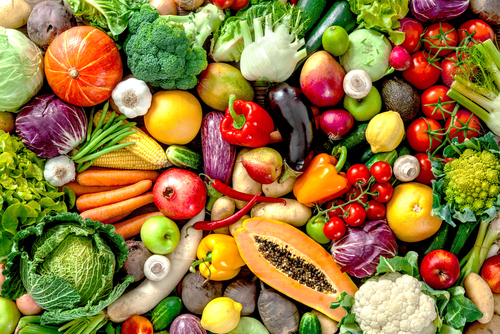 According to the 2019 EAT-Lancet Commission on healthy diets, a global shift towards plant-based foods such as legumes, fruits, grains, and vegetables has been noted in the last few decades. The shift from processed foods is aimed at helping to reduce the negative impact of food production on the environment, reducing food-related diseases, and extending people’s lifespan. It is important to note that sustainable eating creates ripple effects in crop production and processing caused by a change in the established market forces and consumer demand. As people shift from foods grown using unsustainable strategies, the entire production line is forced to adopt to sustainable operations. Notably, a lot of people’s diet rely on just a few types of dishes that limit the nutrients they can get from their food. However, you can easily get more nutrients by diversifying the foods you eat. For example; instead of restricting your protein source to beef only, other sources such as fish and legumes can help to add omega-3 fats, omega-6 fats, and antioxidants to the body. Today, more people than at any other time in history are opting for diets made up of plant-based foods such as nuts, beans, and vegetables. Plant-based foods have been demonstrated to be healthier compared to animal-based options. People are taking inspiration from Asian communities such as Malaysia and China that largely rely on plant-based foods. In the Mediterranean, communities have also mastered the art of making plant-based foods such as pasta, stews, and tagines for impressive flavors and better health. When you grow own food, it means that you have cut the need to transport food over long distances using vehicles that release emissions into the environment. It also means that you will help to absorb some carbon dioxide from the atmosphere using your food crops. Note that growing your own food does not mean you require a large piece of land. You can simply use a garden to grow kales, tomatoes, onions, and herbs. You can also use a balcony or window box to plant food crops in pots. Growing some of your food helps to cut grocery related bills. It is also a great way to avoid consuming harmful chemicals that are added to crops during production and processing. Today, the average home throws away about 30% of the food it purchases. However, this is a waste of resources and cash. To reduce wastage, it is advisable to carefully review your family food requirements and only buy enough quantity. It is also worth exploring using food preservation methods such as drying and cooling. One fact that people who are focused on achieving sustainability agree on, and that is that the “fight” cannot be won alone. Rather, it becomes easier to march forward when working as a community. Therefore, you should consider carrying the conversation to close friends and encourage them to also adopt sustainable eating. The conversation should especially be directed to traders in food markets to encourage them to stock sustainable foods. One trick of identifying healthy and sustainable foods is checking for relevant certifications. These certifications help you to know that the food is sourced and processed sustainably. A couple of great logos to check for include Fairtrade (focuses on protecting farmers and workers especially in developing countries) and MSC (focuses on sustainable use of aquatic resources). Sustainable food and sustainable eating are at the heart of promoting better human and ecological health. When you eat sustainable foods, they help you to encourage the entire production and supply chain to adopt sustainability. Do not be tempted to take any food on sale in the market; go for sustainable options to make the world a better place for the current and future generations. ← How can Recycling Materials lead to Environmental Sustainability?